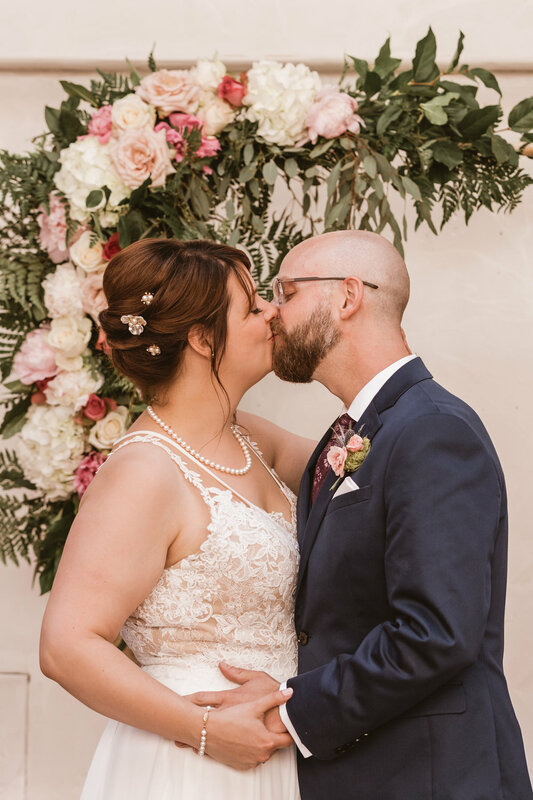 I had the pleasure of making a few floral arrangements, wreaths and an arch for mark and Alissa's wedding at the end of May. The reception was held at the Om center in the Omaha Old market and the red brick and bohemian vibe of the space really lended itself to these simple, green-centric arrangements. I used hydrangea, peonies from the bride's garden and slew of roses for this spring garden look. Ceremony photos by Hanna Voss Photography. Scroll to see more!